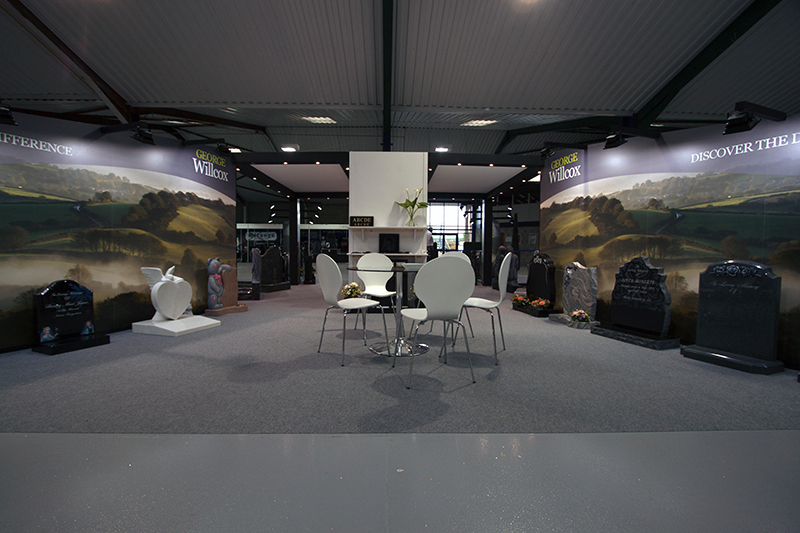 George Willcox (Granite) Ltd are suppliers of granite memorials to the memorial industry. We have been established for over 30 years. During that time we have built our reputation upon reliable deliveries, competitive pricing, excellent quality and first class service. So much so, that we are now the largest importer and manufacturer of Granite memorials in England. We are committed to increase our growth through solid service to the memorial trade. Our retailers can access our website for online quoting and ordering. If you do not hold an account with us please click on the "NEAREST RETAILER" button to find your local Memorial Mason stocking our memorials. Images taken of the Willcox stand at the recent NAMM 2015 Trade Show. We were able to showcase memorials from our forthcoming Cotswold Collection catalogue. This web site, although containing over 200 items actually represents only a small section of the range of memorials that can be produced. If you need something that is not shown in this area, please contact your nearest retailer to discuss your requirements.